Getflix is a Turkish service that uses SmartDNS and VPN technology to allow users from Australia, New Zealand, and any other place in the world to easily access whatever content, media or website they want without any restrictions. Its VPN is not offered separately but is included for free in all their pricing plans. In our Getflix review, we will explore the inner workings of this provider in order to help you determine if this service is the right choice for you. Getflix Full VPN is a service offered to all Getflix SmartDNS subscribers. Some opt not to use it because they only need SmartDNS to unblock websites, but many others do. While SmartDNS does not require any particular software installation, if you want to use their VPN, you will have to download a VPN client. For instance, for OpenVPN protocol, you will have to download an open source client and set it up following detailed instructions provided on the Getflix website. While manual setup is not something that most customers are particularly crazy about, we can assure you that the instructions are easy to follow and the setup does not take a lot of time. The client itself is pretty basic and easy to use. Most settings are made with just one or two clicks and further customization is equally easy. When it comes to streaming, which is something that most Getflix customers seem interested in, we found that it works almost seamlessly. It seems that the majority of connections do not get re-routed, especially for popular services like Hulu and Netflix, meaning you get to stream media directly from the source. This, naturally, means better speeds and a better viewing experience. Note that using only SmartDNS (without a VPN) provides better speeds because VPNs always tend to slow down the connection at least a little bit. DNS and IP leaks are sometimes an issue with this kind of service but this is not the case with Getflix, which seems to be almost entirely leak-free. Getflix VPN and SmartDNS services are compatible with a large number of platforms and operating systems, from the most popular ones like Windows and Mac to mobile platforms like iOS and Android. In addition, you can use this service on Xbox 360 and Xbox One, PS3 and PS4, Apple TV, Roku, and WD TV Live. Getflix VPN works on any kind of connection, from DSL and cable to satellite, 3G, and 4G. When it comes to their VPN, Getflix offers this service free of charge to their SmartDNS subscribers. Their VPN services, which are optional, are included in all the plans. Getflix owns and operates servers across the globe. 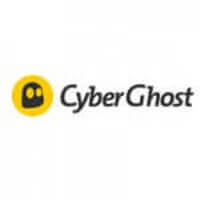 Those who use a VPN for security and encryption are advised to connect to the server nearest to them while users who want to access a website from a certain country are supposed to connect to a server in that particular country. All servers are protected by a firewall and other state-of-the-art security mechanisms. P2P sharing is allowed only on certain dedicated networks. Using P2P on any other server is not allowed or supported by Getflix and the company insists you should only use it for legal purposes. Getflix offers a choice of four different security protocols and does not keep logs. There is no speed throttling, bandwidth is unlimited and so is the server switching. 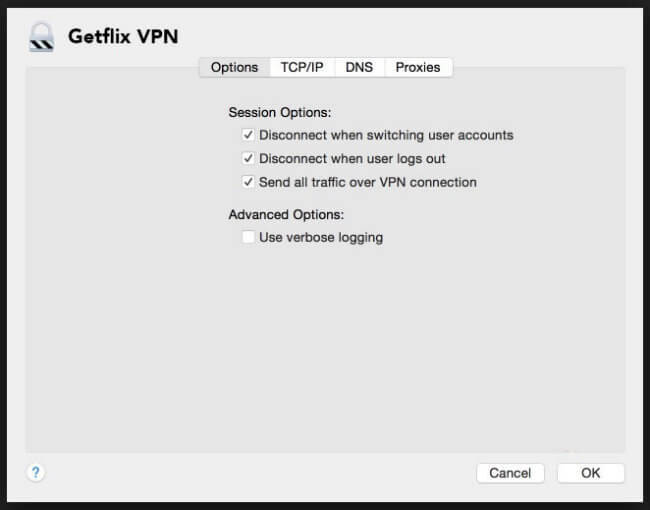 You can connect up to three devices simultaneously using one subscription but you will need to connect to a different Getflix Full VPN network from each device. Getflix supports over 200 of the most popular television, movie, music, sports, and children websites and channels. We could not find any information about a money back guarantee. As for a free trial, there is a 14-day period but VPN services are not included. As mentioned earlier in this Getflix review, Getflix offers a choice of four different encryption protocols for you to choose from. PPTP comes with 128-bit encryption and is generally very fast, although the level of security it provides is not exactly unmatched. L2TP protocol is more secure and supported by almost any kind of device or platform. There is also SSTP, which can only be used for Windows. It comes with a 2048-bit encryption and is somewhat slower than other protocols. Finally, you can opt for OpenVPN, which is considered the most secure. It has 2048-bit encryption and its only downside is that it is somewhat complicated to set up. Getflix does not track, collect or log any of your data, except for what the users themselves wish to share. The company actually encourages their users to share some info because it will make customer support better, more efficient and faster. In addition, they claim that if they want to give your information to a third party, they will never do so without asking you first. Getflix has a vast knowledge base that covers many issues you might have with their service. There is also a FAQ section, although not a very extensive one. As for direct support, it is offered only through customer support tickets working 24/7, all year round. There is no live chat available at this time. Getflix maintains a strong presence on social media, especially on Facebook and many users have found that directing your questions to their Facebook team can sometimes get you sorted out quicker than by submitting a ticket. Note that you cannot buy just VPN service through Getflix – you get that for free if you sign up for one of the company’s DNS plans. The cheapest plan is good for one month and costs $4.95 while the most expensive one, which actually saves you the most money in the long run, is good for two years and costs $54.90. There is a 25% discount for a second or third account and there is also an affiliate program. There is also a 14-day free trial plan, which doesn’t include a VPN. At the end of this Getflix review, here’s a quick overview of the features that wowed us and the aspects of the service that could use some improvement. Don't Let a Little Geo-Restriction Stand Between You & Your Favorite Shows. Our ratings are the result of an objective and independent evaluation of Getflix, generating the final rating that reflects the overall quality of the company. Ratings may change as the service changes. Getflix user rating based on 9 user reviews. Installing is a bit of a horror story, but if you can ask someone help you with that, then it’s a pretty good choice. Works good! I enjoy this provider more than others because it’s very simple to use. I don’t have to download any apps or whatever and I can still unblock any site I want. I like it that they throw in the VPN although I only use it occasionally. Even though VPN is not their primary focus, Getflix does a great job. Their customer support is very well organized and faster than some others I have contacted. I find this to be a great value for money. Sure, you pay a few bucks, but you can literally do anything you want online. Setting up my VPN was a pain in the keyhole but once I managed to do it, I never had to change anything. The speeds are okay. We found 4 verified Getflix discounts for April, 2019. Sign up and we’ll let you know about future Getflix promo codes. Discover the full range of possibilities Getflix offers and become an advanced user in no time with our beginner-friendly Getflix guides. Whether you are interested in secure torrenting, unblocking Netflix, setting up Getflix on all your devices or you simply want to learn more about Getflix, you can find verified information and clear instructions in our Getflix guides below. Does Getflix Work With Netflix? - checking the platform’s ability to allow its users to stream Netflix US in 2018.